Although an anti-gay law is declared invalid, many marchers opt to wear masks because of severe ongoing discrimination. 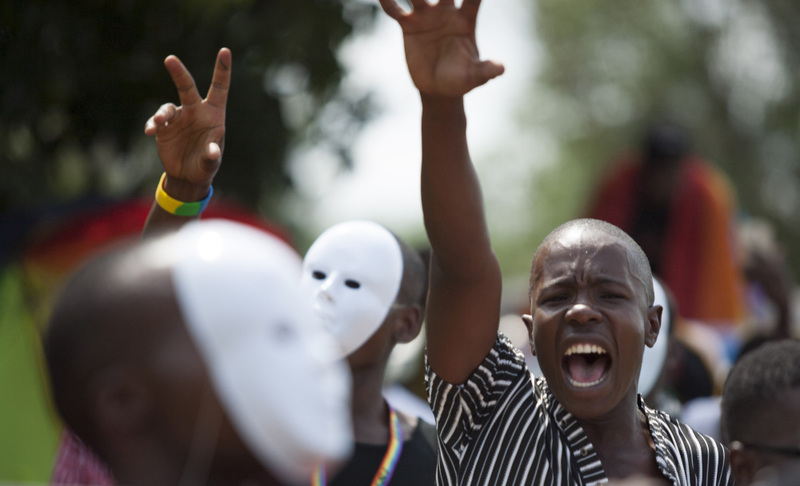 ENTEBBE, Uganda – Scores of Ugandan homosexuals marched through sprawling botanical gardens in the lakeside town of Entebbe on Saturday, their first pride parade since a Ugandan court invalidated a controversial anti-gay law. 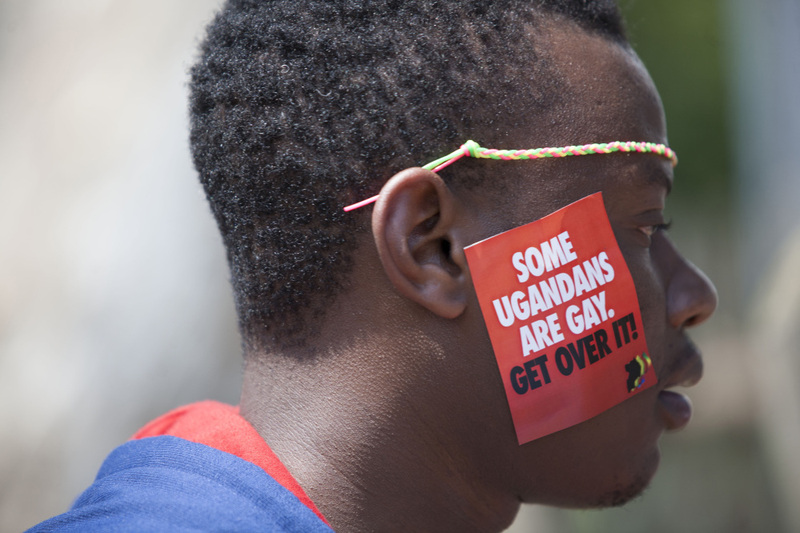 Uganda’s Constitutional Court ruled last week that the anti-gay law enacted only five months ago was illegal because it was passed during a parliamentary session that lacked a quorum. Some lawmakers have pledged to try to reintroduce the same legislation when parliament emerges from a recess later this month. They said they would try to pass the same law in parliament since it had been invalidated on technical grounds and not its substance. On Saturday, activists held up placards saying they would not give up the fight for gay rights in this conservative East African country of 36 million people. Some waved rainbow flags as they danced and frolicked on a sandy beach on the shores of Lake Victoria, about 25 miles from the capital, Kampala.